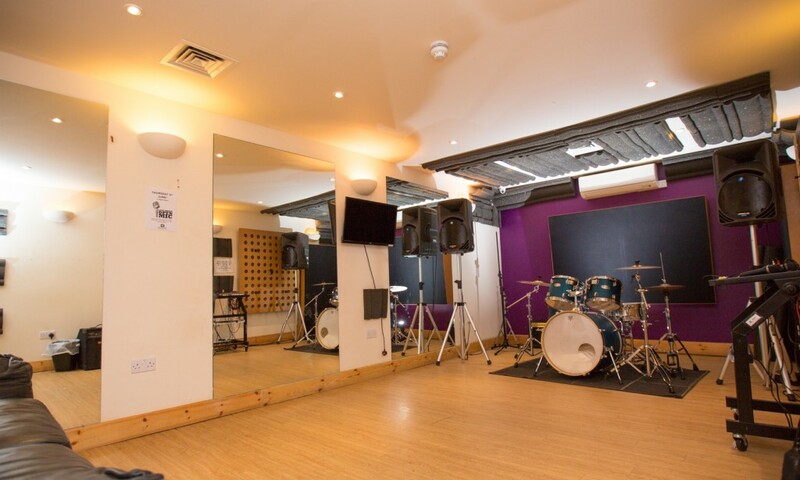 There are four large rehearsal rooms spaces at River Studios in Southampton. 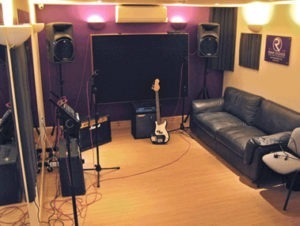 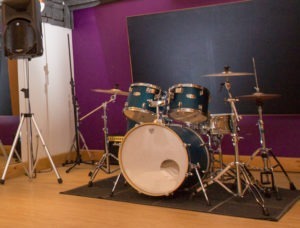 Downstairs rehearsal rooms includes the following equipment, as well as air conditioning and a large comfy sofa. 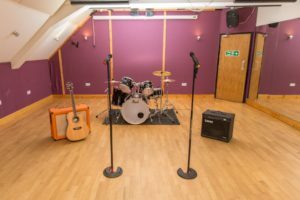 Our dance studio rehearsal room caters for large bands. All PA’s are Mackie SRM 450′s (V1) and run by a Soundcraft 12 channel desk with 8 preamps and built in FX and a DBX drive rack.